M110 I found on accident when I was looking for M31 (Andromeda). Given the luck I was having at that point I was pretty glad to find anything at all. It is apparently a satellite galaxy of Andromeda, a little elliptical galaxy just making its way around Andromeda as Andromeda slowly crashes into the Milky Way. Messier originally thought it was part of M31, so it didn’t get it’s own catalog nmber until 1967. There are fourteen other known dwarf galaxies (siblings, I suppose) that orbit Andromeda. 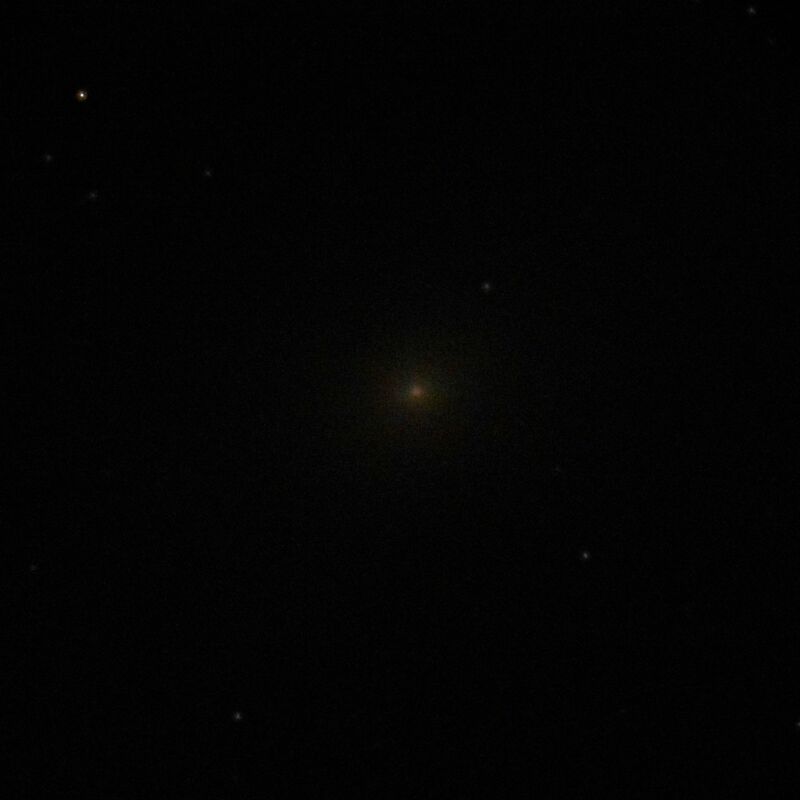 Next time I will shoot for the other visible dwarf galaxy, M32, and of course continue to try to find a way to get a decent shot of Andromeda.